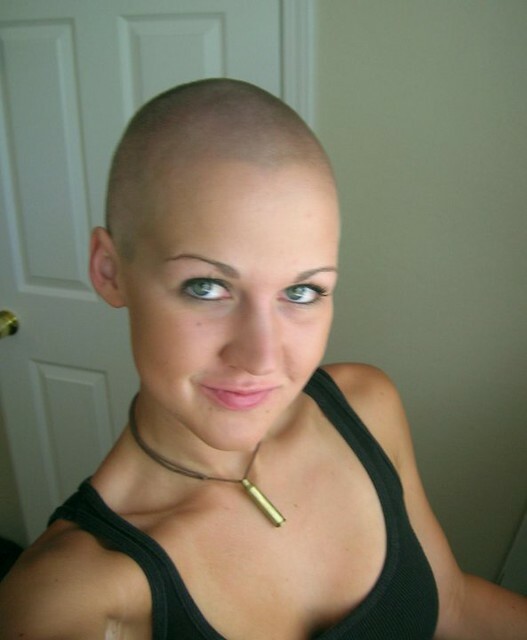 Guys: Would you reject a bald girl or a balding girl? My honest answer: you're very bored. I wouldn't reject her on those grounds. I had a girlfriend who occasionally used to lose small patches of hair because of chronic fatigue syndrome. It bothered her, never me. I always thought she was completely gorgeous. If the lot had fallen out, so what, it still would have been her. Mmmm ... the only woman I've ever seen that I thought looked good with a crewcut was Sinead O'Connor, but she shaved her head voluntarily so I'm not sure if she strictly counts. Hooray for a bald-headed woman! Some pull it off insanely well. I guess it's the same rule as for guys, headshape > all. I think it has more to do about if they bother to maintain it than if they are going bald or are bald. I think some women can pull off the look rather well. Baldness is totally not my preference regarding to looks but still I would not consider it as a turn off. Bald girls can be cute as well. Totally totally off-topic but this strikes a serious nerve with me. CFS doesn't explain baldness. CFS is itself a disease with no proper explanation. Baldness, on the other hand, especially when not obviously some sort of normal genetic pattern baldness, has many, many causes, and should be a point of alarm and questioning, not acceptance, of a diagnosis that's worse than useless. It's worse than useless because it only serves to prevent further examination of the person's medical problems. Mate, I dunno entirely, it was a fair few years ago. Doctors messed her around for years, accusing her of hyperchondria - it wasn't until she was older that the diagnosis was arrived at. She took tablets for her thyroid, I believe (and perhaps the hair loss was a reaction to it). The hair would grow back - it never was a great amount. She used to get incredibly tired - but very frustrated with herself, which drove her on. I didn't want to pry, she wanted to be seen as normal. She didn't eat a special diet. She used to get incredibly cold at times, which was always very worrying. But she never lost a considerable amount of hair - my point was that I wouldn't have cared had she. Boo is known around these parts for making spam or joke threads. 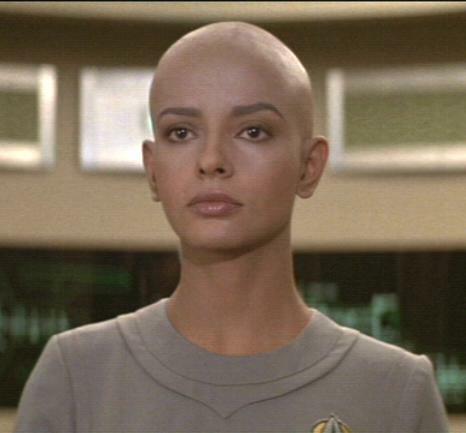 And to answer your question, no I would not date a bald or balding girl. What if you were already in a relationship with someone and she started to lose her hair? Maybe because he doesn't find it attractive. Girls: Would you reject a bald guy or a balding guy? What are some reasons an aspie guy would reject a girl? Guys, I must ask, what makes you keep trying to get a girl?